Dr. Camelia Furlan is practicing dental surgeon, mother, wife, entrepreneur, health educator, life coach and author. Dr. Furlan received her Bachelor in Dental Science training from the University of Western Australia. She worked as an emergency dentist in a private practice soon after graduation and during that time had the opportunity to see many accident and trauma cases, and became interested in reconstructing her patient’s function and aesthetics using fixed appliances such as dental implants and crown and bridge procedures. The reconstruction of mutilated dentitions, inspired Dr Furlan to take a particular interest in the transformation of the whole facial aesthetics, leading to a shift in focus geared towards cosmetic dentistry, and facial procedures such as anti-wrinkle treatments and lip fillers as a solution for patients that were unhappy with their smiles. 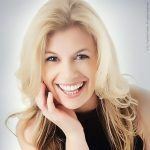 With over 20+ years in practice, Dr. Furlan, today she oversees her own dental practice in Mount Lawley focusing on Smile Makeovers, Invisalign Clear Braces and Anti-Wrinkle Treatments. Her passion is to help people breakthrough the barriers that prevent them from reaching their fullest potential in life, so that they may experience a life that is amazing, fulfilling and extra-ordinary. Her passion for her dental patients is to educate them on preventative dentistry, nutrition and get a Picture Perfect Smile using the latest in Dento-Facial Aesthetic procedures. So if you’re bothered by your smile or the appearance of your skin and have put off doing something about, click here now to schedule a FREE Smile Assessment & Computerized Complexion Analysis with Dr. Furlan and find out firsthand how her Smile Makeover services and Anti-Wrinkle treatments can help give you a new smile without spending a small fortune.